M65 is a beautiful spiral galaxy in the constellation of Leo. 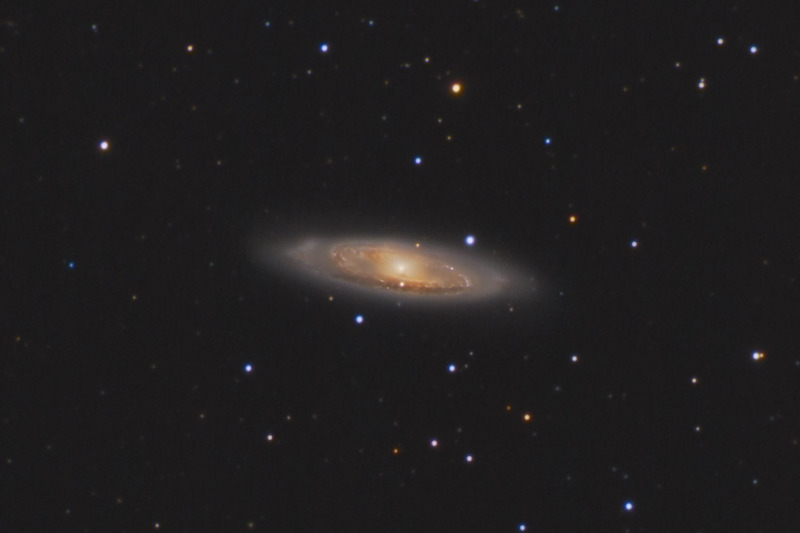 It is one of 3 galaxies that make up the "Leo Triplet" of galaxies - the other two galaxies being M66 and NGC 3628. 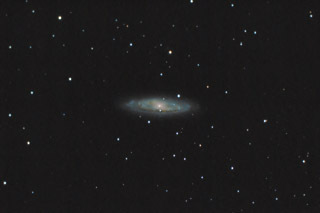 M65 is about 30 million light years away, and has a mass of about 200 billion suns. Be sure to click on the image for a better view of the the dust lanes typical of a spiral galaxy. In this image, North is to the Left. This image is cropped to 35% of the original full frame. Notes I had imaged M65 as one of my first digital astrophotos back in April 2011. While the image was acceptable, I was very happy to have a chance to redo it with my better equipment and improved processing skills. As it happens, I'm very happy with this image, as I was able to capture some very good detail as well as some nice color with this newer image.